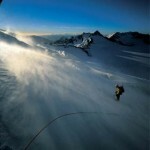 Super7 Climbing is about completing a first ascent on every one of the seven continents. 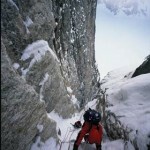 What is a first ascent? The routes we are attempting to climb on these mountains have not been climbed before: we are attempting to pioneer completely new routes. Seven new routes up to Scottish VIII and ED2 have been climbed in Asia, Antarctica, Australasia, North America, South America, Africa and Europe. It is led by Oliver ‘Olly’ Metherell and his climbing partners are Tony Barton, Derek Buckle, James Edwards, Mike Fletcher, Gareth Hughes, James Mehigan, Kev Neal, and Michel van der Spek, Andy Stokes-Rees and Phil Wickens. Thank you to everyone who has attended our fundraising events and all the many thousands of people who given their time, energy and resources to support this adventure. The full story about the climbs we’ve completed in Europe, North America, Asia and Australasia are below. Read about our new route in South America. “The day is clear and warm with a few wisps of cloud in the East. Below me a Lammergeir floats upwards. With a wingspan of fifteen feet it looks like a brown paraglider. I thought how I wanted to be like it”. 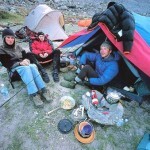 We are supported by The Business, CRUX, Montane and Pocket Mountains. Thanks also to Lyon Equipment and Patagonia for supplying equipment and The BMC, The Mountaineering Council of Scotland and the Mount Everest Foundation for funding. 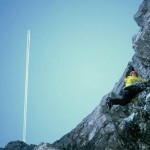 Thanks to Climber, Climb, Gravity, Scottish Mountaineer and Summit for letting us reproduce their articles here.